Georgia construction companies came together in March to offer hundreds of summer internships to students interested the industry. They also put a unique tool to work matching the teens with employment. 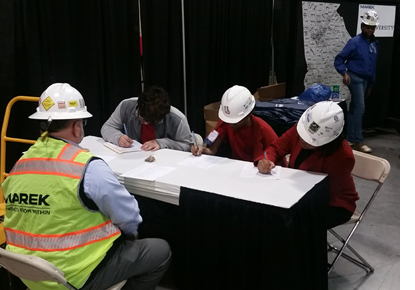 The Construction Education Foundation of Georgia (CEFGA) hosted it’s 2018 Career Expo, promoting the business as a career path by partnering with the Associated General Contractors of Georgia to coordinate with construction firms willing to hire students this summer. The two organizations used a program called YouScience to find high school students with proven abilities needed to be successful in the industry. "It's exciting to have an opportunity to make a positive impact on so many young people by opening the door to real work experience," said Scott Shelar, President of CEFGA. 41 Georgia-based employers came to the event with more than 200 internship positions available to students who have demonstrated the aptitude and interest for careers in construction. 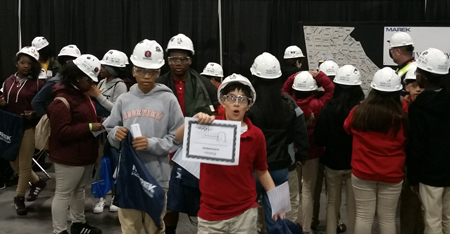 The CareerExpo included interactive experiences allowing students to engage with industry leaders, equipment and materials to harness their unique skills and interests. The event also featured the SkillsUSA State Championships, a competition inviting students to showcase their skills in a number of construction-related disciplines. YouScience is “the only system that employs decades of rigorous scientific research to measure students' aptitudes through a series of engaging 'brain games'" and "combines cutting-edge matching algorithms with the most reliable and comprehensive career data, providing each student with a highly-personalized online profile that highlights the intersection of their unique talents, passions and opportunities,” per CEFGA. "We look forward to using YouScience data to discover students who are best-fit to excel in the construction industry,” Shelar said. “Coupled with our K12 Pipeline work and AGC Georgia, who has been fantastic in securing positions at numerous construction firms across the state, this is a life-changing opportunity for high school students in Georgia." "The Georgia Department of Education and the Technical College System of Georgia partnered together to make YouScience available at no cost to every student attending public high school in the state of Georgia," said the organizers of the event. "A representative from the school, or its superintendent's office, simply needs to reach out to YouScience and request free access to the program." "The YouScience data demonstrates that these students have the talent to fill the workforce needs for Georgia's thriving construction industry," said Mike Dunham, CEO of AGC Georgia. "AGC Georgia wants to encourage those students by offering construction summer internships with a local construction firm. By engaging these students at a younger age, we are able to build their skill sets and lay a solid foundation for a solid career in our industry," Dunham said.